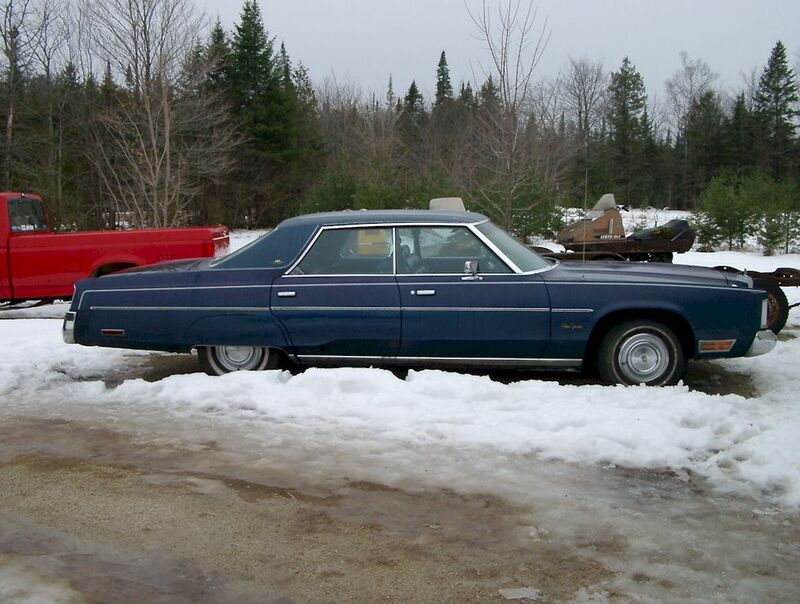 1976 Chrysler New Yorker Four Door Hardtop - This one owner car is in generally “fair” to “good” condition. Even though the car has spent its entire life in Ontario, it has survived unlike most of its counterparts. Though the car has been re-sprayed in its original colour and there is some evidence of repair work in spots, the car is for the most part structurally sound. The one exception would be the driver’s side sub-frame assembly that has suffered some rust damage, but can be easily repaired. The floorboards are solid and original. The new paint has faded in spots but a thorough waxing should help its appearance. The car retains its original 440 CID V8 engine which is in good running condition. The interior is in very good condition with no major issues noted outside of some damage to the headliner. The car has been off the road for several years and will need some maintenance work performed before being returned to service. New battery already installed. A great vintage cruiser!